Showing results by author "Isaiah Hankel"
Don't get stuck on a career path you have no passion for. Don't waste your intelligence on something that doesn't really mean anything more to you than a paycheck. 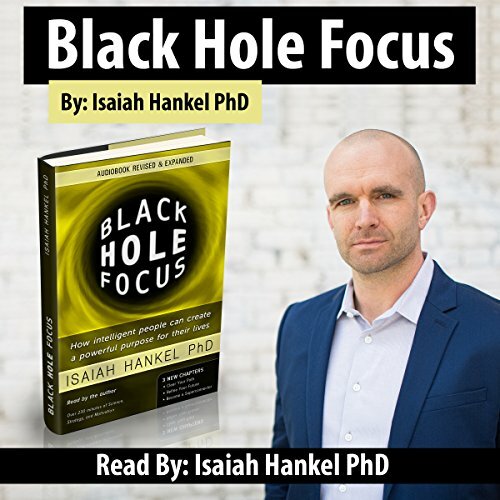 Let Isaiah Hankel help you define a focus so powerful that everything in your life will be pulled towards it. Create your purpose and change your life. Be focused. Be fulfilled. Be successful. Black Hole Focus has been endorsed by top names in business, entrepreneurship, and academia, including four times New York Times best seller AJ Jacobs and Harvard Medical School Postdoc Director Dr. Jim Gould. The book is broken up into three different sections; the first section shows you why you need a purpose in life, the second section shows you how to find your new purpose, and the third section shows you how to achieve your goals when facing adversity.